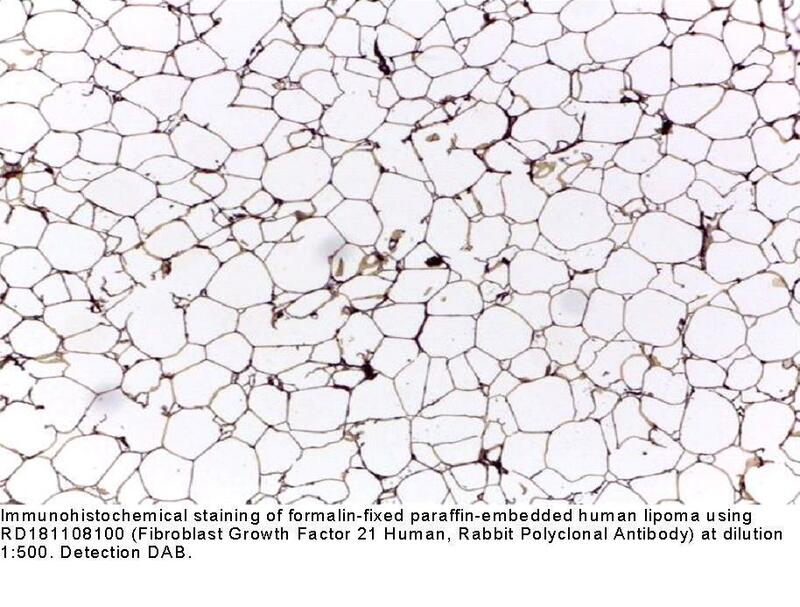 The antibody was raised in rabbits against recombinant Human FGF-21. The immunization antigen (20.1 kDa) is a protein containing 195 AA of recombinant Human FGF-21. N-terminal His-tag, 14 extra AA (highlighted). Immunoaffinity chromatography on a column with immobilized recombinant Human FGF-21.